A Sole Proprietorship falls under the self-employed classification of individual taxpayers of the Bureau of Internal Revenue (BIR). The other type in this category is a freelancer or professional. If you are one of these looking for tips on registering with BIR, go to this article instead. Otherwise, read on. As the name indicates, the setup of a Sole Proprietor is one wherein an individual owns and runs the business operations on their own. And it needs registration to operate, just like any business. Register with the Department of Trade and Industry (DTI). We’ve outlined the process for DTI registration in another article. Get your mayor’s permit. This article will run you through the process of getting one. Last, register your business with the Bureau of Internal Revenue (BIR), which we will outline in this article. Duly notarized Special Power of Attorney and ID of the authorized person, in case someone else will transact with the Bureau on your behalf. What BIR forms do I need to fill-out? 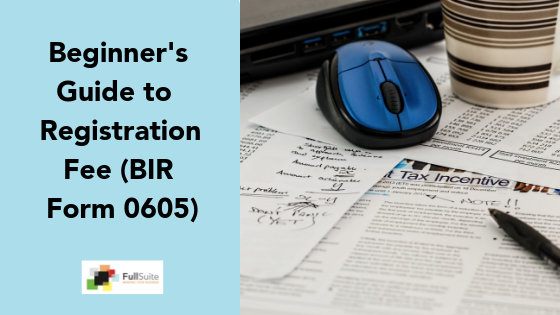 Accomplish three copies of each BIR forms listed above. Submission of these forms to the proper Revenue District Office (RDO) that has jurisdiction over your place of business is needed. You can check the list of BIR Revenue District Offices to see which RDO you fall under. The following is the step-by-step breakdown of the registration process. Assessment. Fill out all the forms and secure a number at the Officer of the Day Lane. Once, your number is called out, present all the accomplished BIR Forms and the documentary requirements. The Officer of the Day will assess all your payables. Normally, the annual registration fee amounts to P500.00, and there is an additional Certification Fee of P100.00 and P30.00 for the Documentary Stamp which will be attached on the Certificate of Registration. The Officer of the Day will also provide a computation for your Documentary Stamp Tax (DST) on Lease. Payment. Pay the assessed Registration Fee, Certification Fee, and the thirty-peso documentary stamp at the BIR Payment Counter. Once again, secure a number and wait for it to be called before making the payments. For the DST on Lease, you can simply go to any authorized bank located within the district. If unsure, check with your RDO what banks are accredited to accept this payment. They usually have a list of this posted within the BIR office. Take note that the DST on Lease needs to be paid on or before the 5th of every month. Failure to do so will result in penalties, surcharges, and compromises. The bigger the tax base, the bigger these penalties, surcharges, and compromises. Submission. Once payments are made, go back to your RDO and secure a number for the counter accepting business registration applications. Present all the payment forms/proofs of payment including the supplementary documentary requirements mentioned earlier. Bear in mind that the processing of the transaction at the registration counter will commence only upon presentation and submission of complete documents. The BIR is very particular with this one. Claiming. Upon submission of the application, the officer at the registration section will provide you with a claim stub stating the scheduled date of release of your BIR Certificate of Registration (COR or BIR 2303). The claim period usually takes three-five working days. Upon claiming of the COR, the BIR will also provide you with the “Ask for Receipt” Notice. The Bureau recommends posting of these in a visible location at the place of business. Printing of receipts. 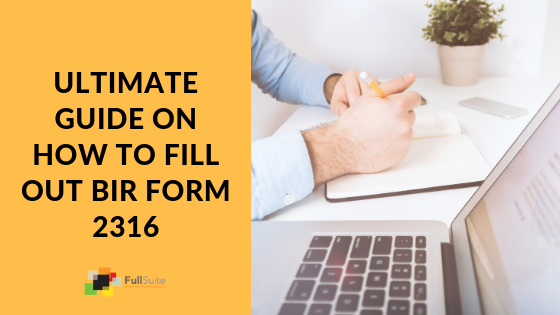 In order to have your official receipts printed, you need to fill out and submit BIR Form 1906 or the Application for Authority to Print Receipts and Invoices duly received by the Bureau (ATP Form). You have two options for this. Claim your COR from your RDO, go to your choice of printing press and they can submit the 1906 (application for the ATP) on your behalf. Claim your COR from your RDO, submit the 1906 to the RDO, wait for the release of the ATP and then take it to your choice of printing press. Please note that your RDO will provide you with a list of BIR-Accredited printing press within the district. The printing of the receipts usually takes at least two weeks. Be mindful that these receipts should be printed and stamped within one month from BIR registration so it’s best to do this in concurrence with the registration and stamping of the books of account. Also, make sure to keep the ATP Form as this is what you’ll need to present if you need to have your receipts reprinted. And there you have it! 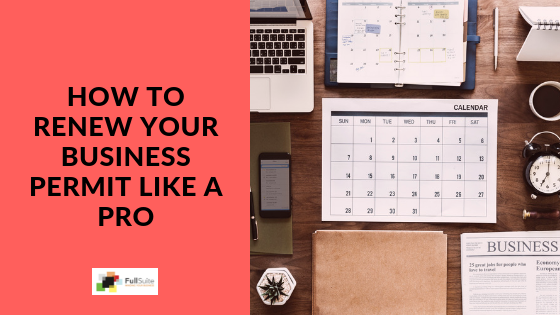 You can now focus on managing and seeing the growth of your business. Best of luck! If your business is earning more than P1,000.00, you are required to register with SSS, Philhealth, and HDMF as self-employed. If you have employees, make sure to register them with SSS, Philhealth, HDMF and BIR (for those that do not have TIN yet). Once registered with the BIR, always file and pay your taxes on time, regardless of whether the business has begun its operations or not. Renew your business registration and pay your annual registration every year to avoid being assessed of penalties.